It’s no secret that I have struggled with my finances and debt in the past. By my own admission, I graduated college with $50,000 of debt. It was a painful process to make my way back from that amount of debt, but I did it. Since then, I’ve learned to get rid of debt and take control of my credit. That may be why I had the opportunity to help a relative with a credit problem recently. While Mrs. Frugal Rules and I closely monitor our credit score, my brother did not. He was blindsided when he found out that someone had stolen his information and trashed his credit. Fortunately, working together step-by-step, we were able to help him repair his credit. Sadly, data breaches and fraud are regular occurrences. They happen more frequently to more people all the time. In fact, a recent nationwide survey conducted by TransUnion found that 76 percent of consumers know someone who has fallen victim to fraud or a data breach. However, that doesn’t mean you have to live in fear of one happening to you. Maybe you’re careful with your credit cards and do all you can to safeguard your personal financial information. If so, great! However, if you think identity theft can’t happen to you, or someone you’re close to, you’re probably wrong. Just last week my credit card company contacted me about potential fraudulent activity on a card that I rarely use. While 89 percent of people feel they should be protecting their data, only 15 percent feel they have the tools they need to do it. Let’s face the fact that, unfortunately, this is the age of fraud and data breaches. That’s why it’s so important to take control of your credit by taking advantage of the free tools and resources available to help you do so. Once my brother did, he felt not only relieved, but he finally felt in charge of his finances. Thanks to the new ‘free freeze law,’ enacted on September 21, 2018, you have the power to freeze and unfreeze your credit for free. This legislation is designed to make it tougher for criminals to gain access to your information and credit. At the same time, it gives you more control over your finances by making it quick and easy for you to freeze and unfreeze your credit. When you want to freeze your credit on the go, try downloading the new myTransUnion app. You can download from either the Apple App Store or the Google Play Store and within seconds you’ll easily be able to freeze or unfreeze your TransUnion credit as you need to, right from your phone – for free. In order to protect your credit as much as possible, you should enact a freeze at all three credit bureaus: TransUnion, Equifax, and Experian. The app is just one of the tools that TransUnion offers to help manage and control who has access to your credit. Parents can use a credit freeze for children under 16 to help protect their information and credit too! Freezing your credit prevents fraudsters from opening new accounts in your name. It can also prevent your credit information from being released to those who shouldn’t have it. You should put a freeze on your credit when you’ve been a part of a breach or suspect your information has been exposed. It’s important to note that a credit freeze doesn’t mean your score won’t change up or down, while it’s frozen. What it does do is give you peace of mind and help you take control of your credit. But remember, you need to do this with all three credit bureaus. I review my credit report every few months to make sure it remains in good standing and that there isn’t information on there that doesn’t belong. It also gives me peace of mind that my personal identity information stays safe. Thankfully, tools like TransUnion’s TrueIdentity are available to help make this process easier. This free credit and identity protection product is designed to help protect consumer’s identities. If you’re diligent about protecting yourself, you’re more likely to avoid situations where you have to freeze your credit. Check out this decision tree infographic which will help you determine steps you can take to protect yourself, depending on where you stand with your credit. This is a sponsored conversation written by me on behalf of TransUnion. The opinions and text are all mine. 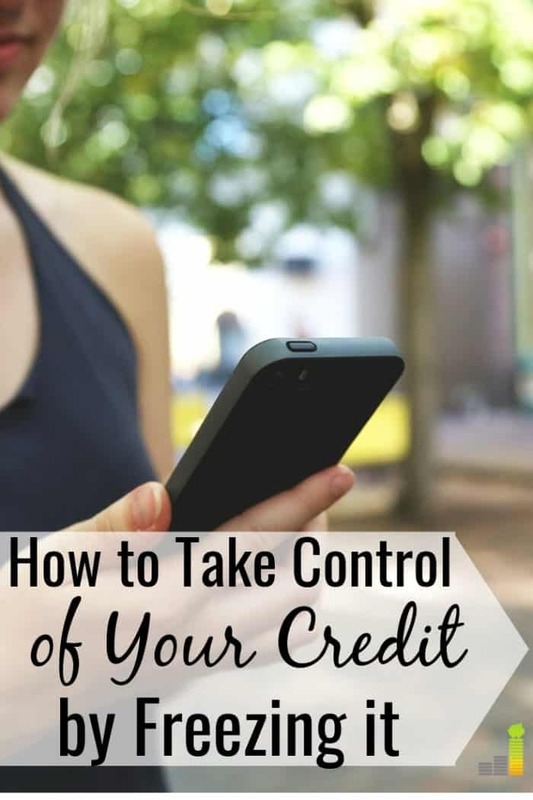 The post How to Protect Your Credit appeared first on Frugal Rules.